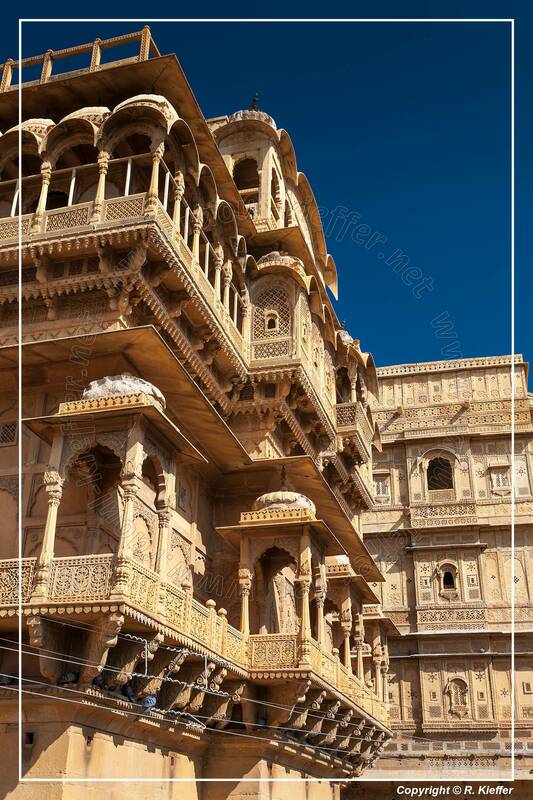 Jaisalmer, nicknamed “The Golden City”, is a town in the Indian state of Rajasthan. 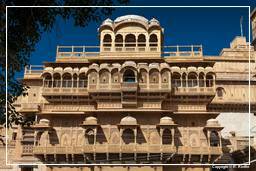 It is located 575 km west from the state capital Jaipur. 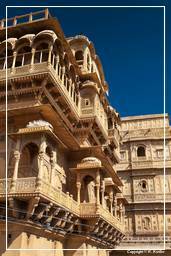 The town stands on a ridge of yellowish sandstone, crowned by a fort, which contains the palace and several ornate Jain temples. 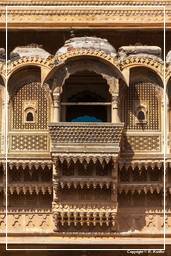 Many of the houses and temples are finely sculptured. 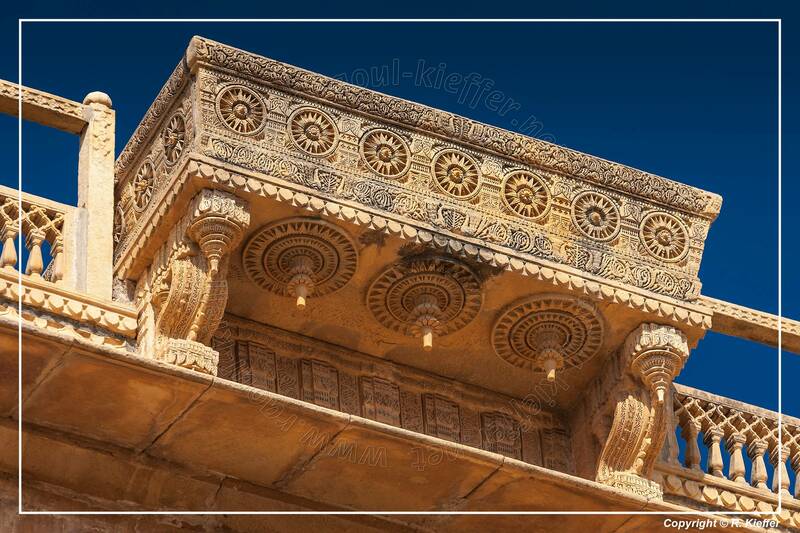 It lies in the heart of the Thar Desert. 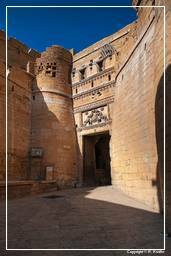 Jaisalmer was one of the last states to sign a treaty with the British. 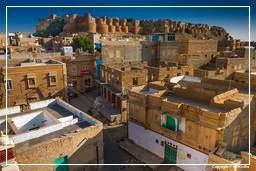 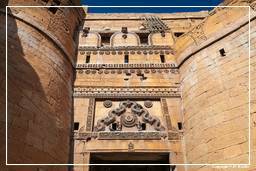 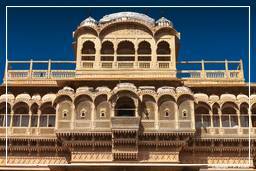 During the British Raj, Jaisalmer was the seat of a princely state of the same name, ruled by the Bhati clan of Rajputs. 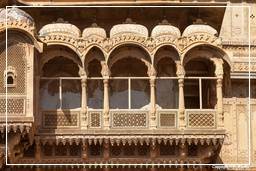 Patwon-ki-Haveli: Guman Chand Patwa, a wealthy merchant belonging to powerful Oswal Jain community and banker who had over three hundred trading centres from Afghanistan to China. 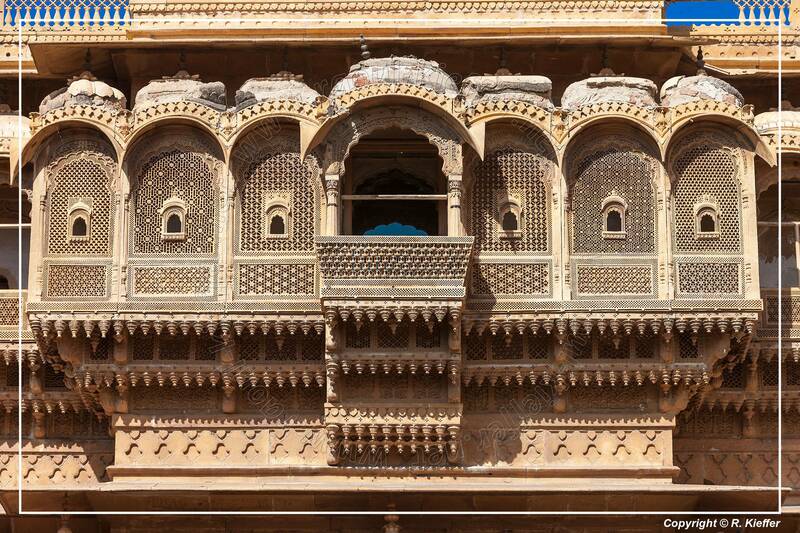 This ornate five-storey complex took fifty years to complete. 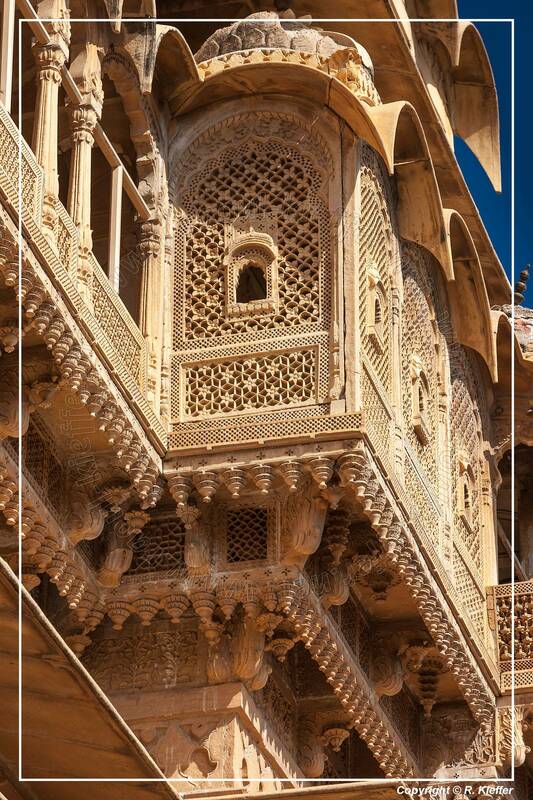 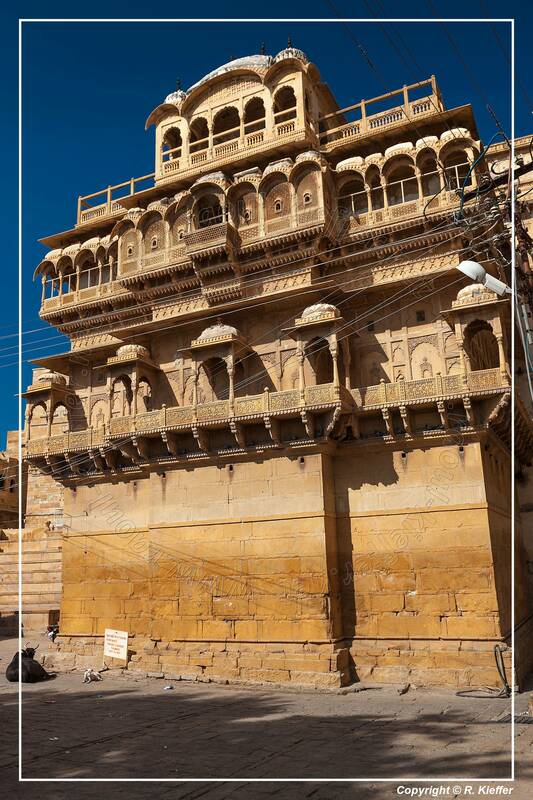 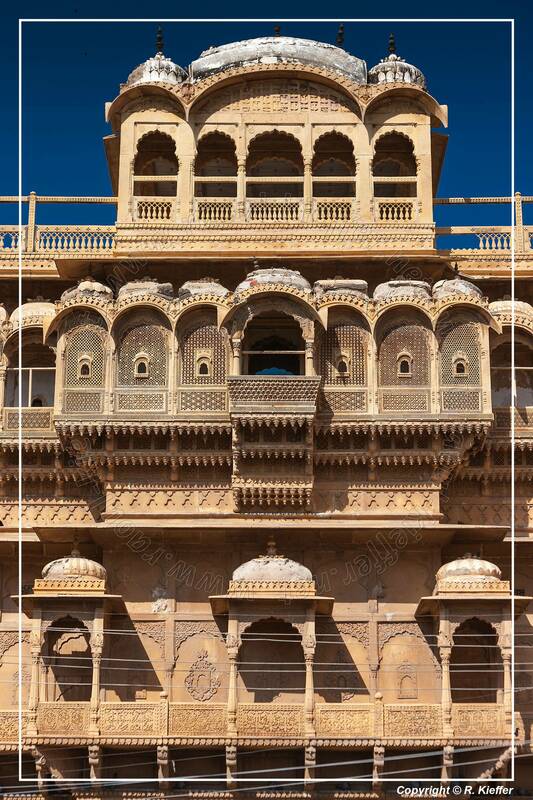 This is the largest, the most magnificent, and the most elaborate of Jaisalmer havelis. 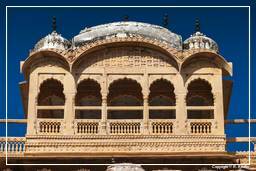 Salam Singh-ki-Haveli: It was built by the scheming Prime Minister Salam Singh in 1815. 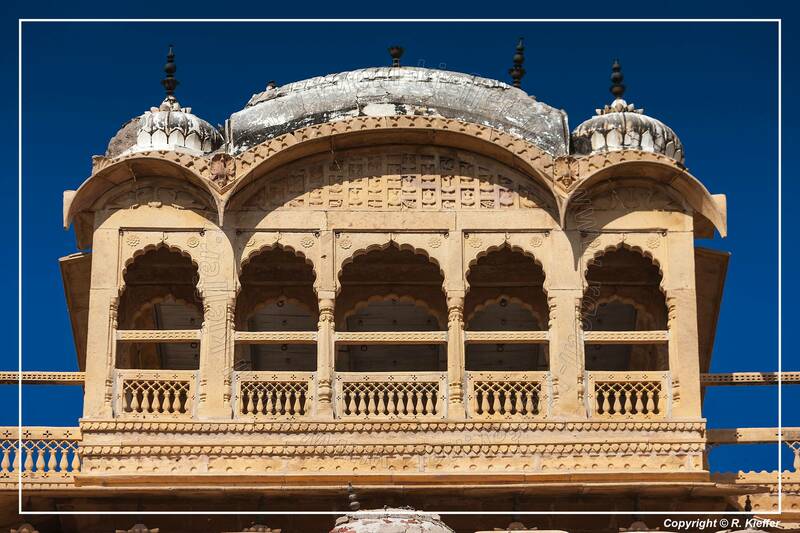 It has a beautifully arched roof capped with blue cupolas and carved brackets in the form of peacocks. 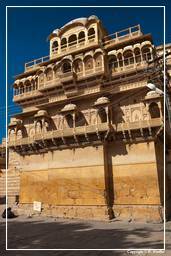 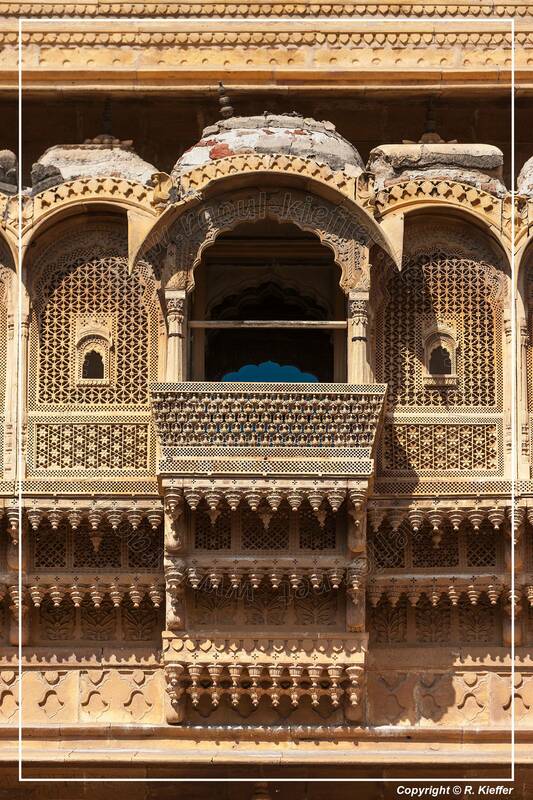 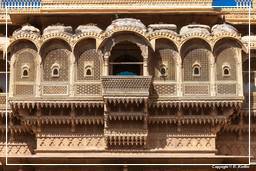 Nathmalji-ki-Haveli: Built by a Prime Minister of princely state of Jaisalmer. 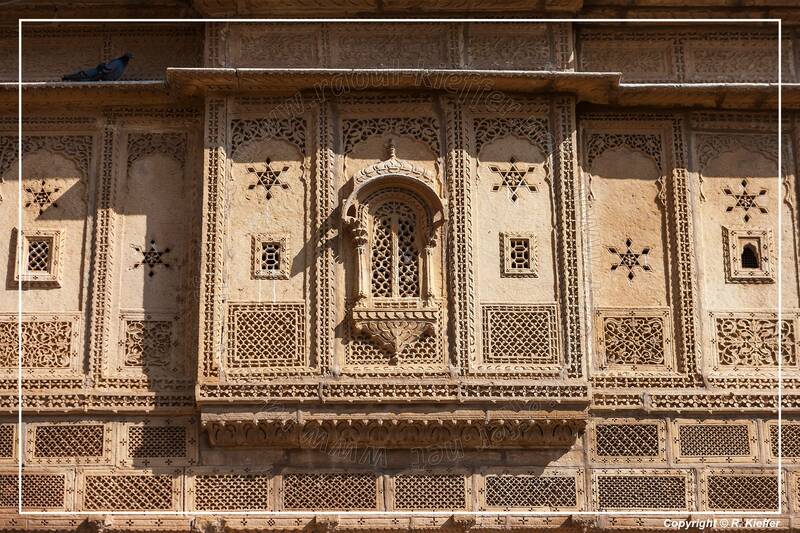 Its facade is a riot of ornamentation: flowers, birds, elephants, soldiers, a bicycle and even a steam engine. 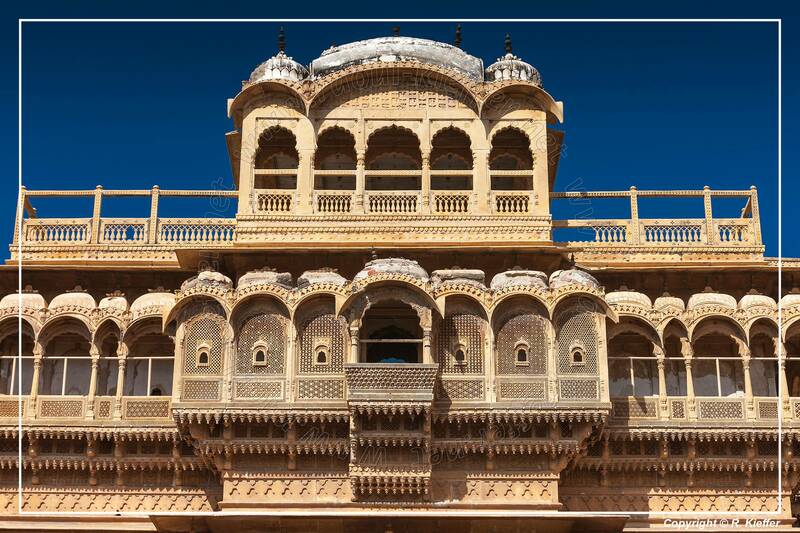 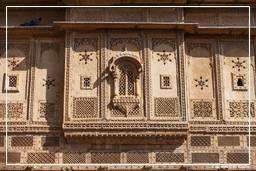 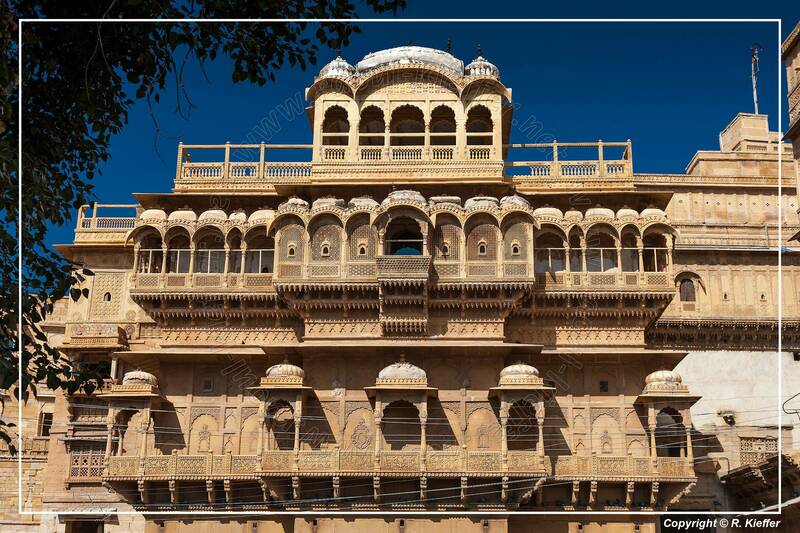 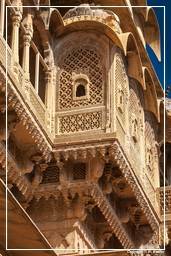 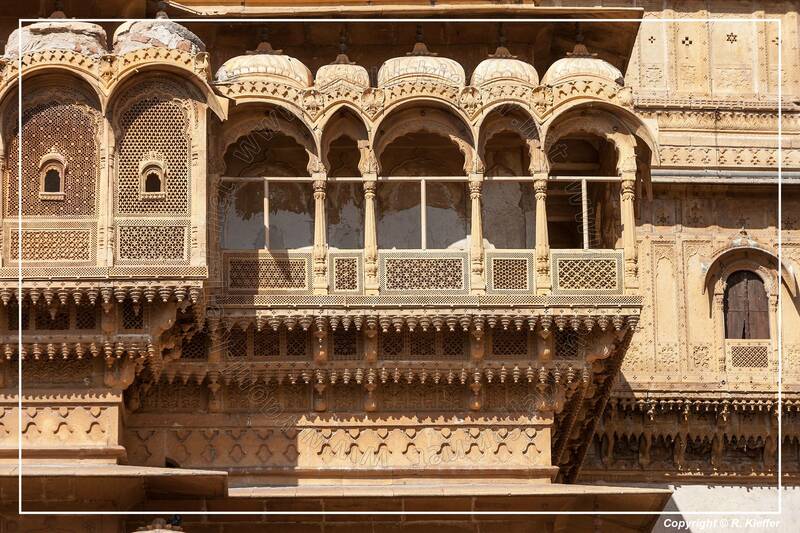 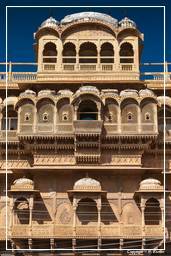 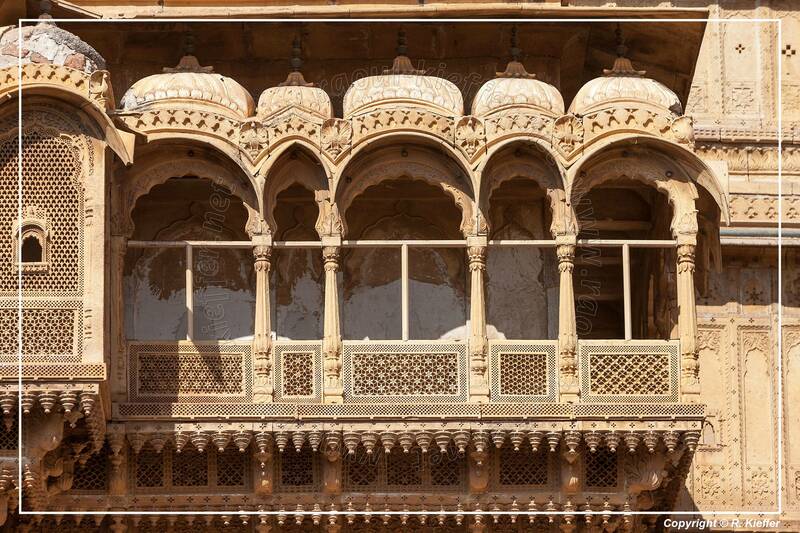 Haveli Shreenath: The Vyas family built this lovely haveli Shreenath Palace - Hotel in Jaisalmer in the 15th century, and descendants of this family live here today.